Salvage of objects from the seafloor has been a major technical challenge for many years. The U.S. Navy has acquired extensive experience through cumulative research and development, both at naval and commercial laboratories. Long days at sea combining both new technology and seamanship have developed the world’s best deep ocean search and recovery capability. This manual addresses principles and methods of deep ocean recovery. 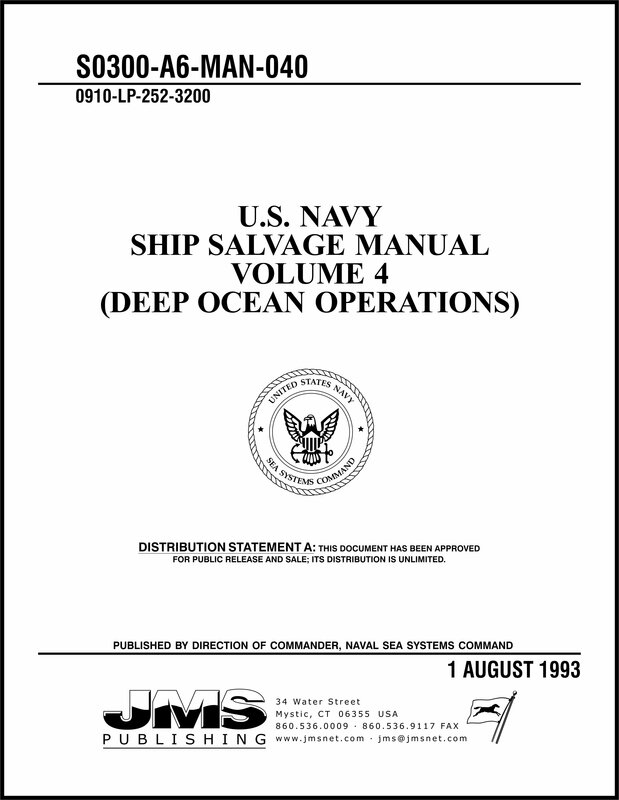 It is intended to serve as a guide for shipboard and deep ocean recovery personnel.